When someone is new to the ketogenic diet and lifestyle, they tend to have lots of questions. That’s a good thing. So I’ve taken the liberty of collecting some of, what I consider, the more important things a keto newbie will need to know as they start out. When you’ve been eating a certain (wrong) way for your entire life, and you finally stumble across an entirely new way of eating, and that new way of eating is completely contradictory to what you’re used to, confusion ensues. I’m not a fan of confusion. The best way to avoid confusion, in my experience, is to simplify. So what does that mean to keep it simple? Well, don’t fret over dozens and dozens of recipes. Find a handful of simple recipes, requiring simple ingredients, and get used to making those meals. Don’t overthink it, and don’t try to make it more complicated that it needs to be. Keep your fats high (75%-80% of food) and your carbs low (less than 20g/day). It’s that simple. Don’t make it more complicated than that. Don’t just start adding fats to your food. You have to know the difference between good and bad fats. And once you have figured out the good fats, you might find it difficult to figure out how to add them to your daily meals. 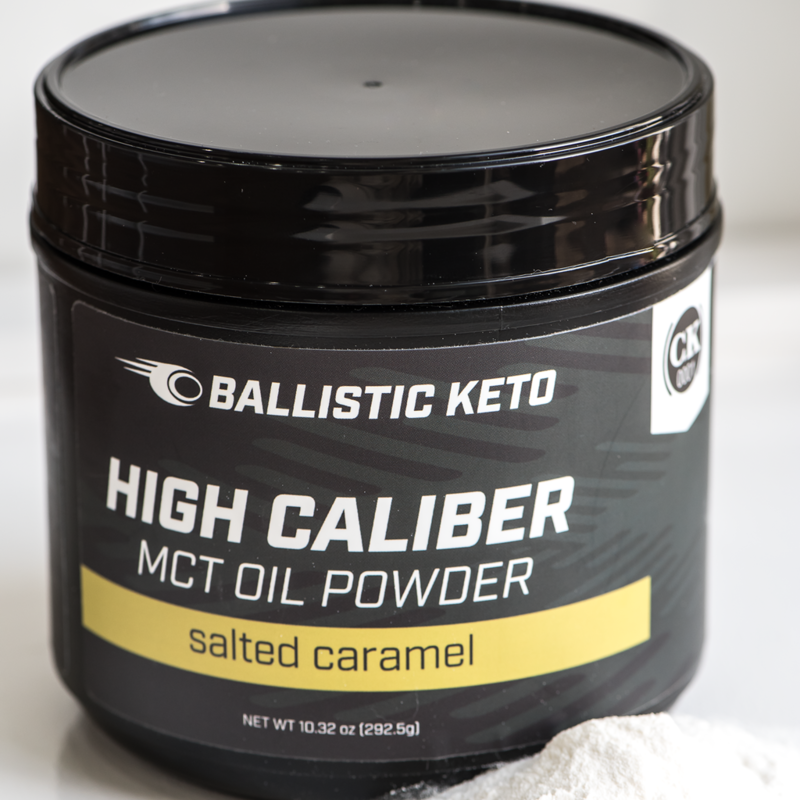 One of the easiest ways to add good fats, for me, is to add coconut oil, butter, and heavy cream in coffee (or tea)…I call it Ballistic Coffee (Tea). You can also add some stevia, but that’s not the point. The point is that adding good fat isn’t as difficult as it seems. It’s just that after a lifetime of fat avoidance, you will require a dramatic paradigm shift. You can also add good fat by adding macadamia nuts, avocados, eggs, bacon, dark meat chicken, fatty beef and pork, or salmon to your meals. If you weigh yourself regularly, you will see the number go up and down. And it’ll either excite or frustrate you. My recommendation is to stop weighing yourself. Most of the weight fluctuation is water, especially if you weigh yourself every day. One thing you need to keep in mind is that actual body fat doesn’t accumulate that quickly. If you think you’ve gained 7 pounds in a day, and those pounds are fat, you’re wrong. Plain and simple. And there’s no reason to put yourself through that. Gaining body fat takes time, just like losing it does. You’re not going to add a bunch of pounds of fat in a day. You’re also not going to lose it. Large fluctuations in weight, in short periods of time, is water. Just remember that as you forget the scale. After some time you’ll know what foods are allowed and what foods are not. But, until then, you need to read labels and learn. You will realize that there is sugar, wheat, corn, and bad fats in a crap ton of foods that you previously thought were healthy. It’s not enough to just look at the Nutrition Facts, you also have to look at the ingredients list. You’ll also have to learn that certain fruits (the vast majority of them) and vegetables (like potatoes, carrots, beets, and more) are too full of sugar to be keto. It might seem confusing, but, like most things, once you get the hang of it, you’ll be good to go. Salt is your friend. There are a couple of reasons for this, but the primary reason is that, because you have cut out the carbs (especially the horrible sugar and processed grains), you don’t have carbs inflaming everything and holding onto salt, so you don’t have to worry about the consequences of high salt intake (like hypertension). In fact, when you’re keto, you need a minimum of 2 tsp per day, more if you workout regularly. This is both the most frustrating and liberating aspect of keto for newbies. There are just a few rules (75%-80% food from fat, 20g or less per day of carbs, and 50g-75g per day (female) 100g-120g per day (male) of protein). After that, it’s all about how you adapt keto to yourself. Do you count, track, or log stuff? Sure, if you want to. If you don’t, then don’t. Everything else about keto is finding out what works for you. For most of your dieting life, you’ve probably been told that you MUST do this, and MUST avoid that. Rules, rules, rules. Well, keto ain’t like that. That’s why it works, long-term. The single, most overlooked aspect of getting healthy is the mental preparation and dedication required. The food stuff is easy, once you learn it. Getting your mind right is critical and infinitely more important. Your mind is going to keep you focused on your goal. Your mind is your most powerful weapon for success. So make sure you start the right way and use that to stay focused. You have to be prepared for success, give yourself permission to succeed, and know how to handle success when you achieve it. Staying focus and dedicated to your goals is how you achieve success. Every successful person has one thing in common…they stayed disciplined and dedicated to their goals, and didn’t let temporary things set them back. They got their minds right. And so should you. Our Ketogenic Success Facebook group has a lot new people joining every day, you should try it…we’re pretty awesome.